Publisher: Abingdon, UK; New York: Routledge, 2013. 282p. There is much to commend about this timely and fascinating account of urban securitization and regulation. This edited collection is the latest title in the Routledge Frontiers of Criminal Justice series and fills an important niche examining the distinctive legal, moral and governance powers that citizens in urban contexts are subjected to. The title ‘Policing Cities’ is a double entendre, with the book first examining the traditional forms of policing, urban spaces and the forms of conduct that fall under police control. The plural policing agenda is central to Anglo-American criminological enquiry, something which other authors explore in detail, with Jones & Newburn (2006: 1) arguing that ‘in the sociology of policing [that] has shifted the former exclusive preoccupation with the (public) police towards a broader concern with law enforcement, order maintenance and regulation carried out by a range of governmental, commercial and community bodies.’ Although the pluralization agenda is not new in the policing field, the way the book examines the pluralization of policing and the interaction between the police and the public across different policing contexts and countries does bring a degree of originality to this collection. The second meaning of the title refers to the space and materiality of the urban environment and the policing contained within it being ‘deeply entwined’ (p. 2). By materiality, the authors mean the dominant urban forms within the city. This is where the book further adds something original to the existing literature on policing cities, because in contrast to much of the existing literature in this area, most of the chapters in this book actively engage with ‘the city’ as an integral part of the way that the police regulate urban spaces. The editors argue that in previous work ‘the city is typically an inert background rather than a main stage protagonist influencing the outcome of the story’ (p.2). Whilst I am unconvinced by this language, which is almost deterministic in nature, the broader point that the local scale context of cities has an important bearing on the policing of these areas, is an important one, and one which sets this book apart as an important addition to the existing urban security and policing literature. The book progresses through four sections, beginning with a section entitled ‘public police reform and community policing in twenty-first century cities’. There are four contributions in this section, which provide a fascinating introduction to policing and urban (in) security in different geographical locations around the world. The first is by Anna Barker and Adam Crawford. This chapter focuses on the changes in the policing landscape in England and Wales, and particularly the challenges of policing in a time of fiscal restraint which along with the introduction of Police Crime Commissioners (PCCs), mean the policing context in England and Wales has changed. This chapter provides an excellent oversight of some of the challenges that policing faces, with privatization and politicization identified as governmental responses to urban insecurities. Chapters two and three, written by Gary Sigley and Mathew Light respectively, examine community policing in post-Deng China and the post-Soviet Republic of Georgia. Empirically these two chapters are fascinating, providing an insight into the urban security and policing of two countries which have been hitherto largely absent from the English language policing research landscape. In chapter two, the authors argue that policing in China has reformed, with increasing amounts of professionalization and specialization. In chapter three, the challenges of the Georgian police service moving from a pre-Soviet context to a post-Soviet context are examined. One of the valuable aspects of both these chapters is the links the authors make between policing in the changing landscape of both these countries, drawing neighbourhood policing as an example in Georgia and ‘community policing’ (shequ jingwu) in the Chinese context. These have parallels with the themes in Barker and Crawford’s chapter, in particular the reassurance agenda in the UK policing context. The final chapter in this section, chapter four, is a particularly valuable contribution. Mitchell, Attoh and Staeheli examine the notion of community cohesion in the context of Glasgow and Manchester. Arguing that the lack of a definition of ‘community’ in the community policing and community cohesion agenda is ‘in some way strategic,’ they note that the determination for building policing centred community cohesion is thus inherently exclusionary. Although this is not a particularly novel argument, drawing on work which has already identified challenges associated with community, there has been limited work which has explicitly examined policing-centred community cohesion. The second section of the book presents four chapters which explore new modes of urban policing and governance. These four chapters bring together empirical material from Australia, Germany, Mexico and America. Whilst the first section of the book focused on ‘the police,’ this section examines urban governance more generally. Chapter five, by Palmer and Warren, is helpful in exploring the increasingly punitive anti-social behaviour (ASB) legislation being enacted in Victoria, Australia. It adds to work which has examined the situational mechanisms implemented to prevent ASB in Victoria (see, for example, Hughes (2011)) and argues that computerised surveillance and identity verification technologies are exclusionary, but may be necessary for enforcing zonal bans – areas where certain people and behaviours are banned. Chapter six by Eick, explores the concept of ‘polychrome policing’ in Germany – a reference to the different colours of uniform work by security providers and the police in Germany. Eick argues interestingly, that the neoliberalization of the German police did not lead to the simultaneous decline of the German state. This is in keeping with Garland’s (2001) argument that despite the pluralization of policing, this does not mean that the state is retreating in its crime control provision. Chapter seven, by Davis and Ruiz De Teresa, is the standout chapter in this section of the book, focusing on the (re)scaling of security strategies in Mexico City. The authors argue that the ‘extent to which states are effective in policing criminal activities at all territorial or spatial scales will thus determine both the local and national security provision’ (114). This chapter is particularly useful in the way it engages with the second overall aim of this edited collection, arguing that the space and materiality of the urban context has important consequences for the ways that policing and urban security are enacted. By linking scale and security, this chapter offers an interesting examination of the spatial challenges associated with security strategies. Chapter eight, by Braverman, in contrast, takes a novel approach to the concept of security, exploring the law relating to the regulation of animals in urban environments. Although aspects of this chapter fit with the broader theme of urban policing, particularly around the role of dangerous dogs and of dog wardens, this chapter feels out of place in this edited collection. The third section of the book focuses on policing city spaces and regulating conduct. The empirical material making up the chapters in this section is again drawn from a variety of global contexts, including Britain, South Africa, Berlin and Paris. These chapters explore the distinct spatiality of security within urban securitized privatized spaces and the role that subordinated others (the homeless, for example) have in the security of urban environments. These debates have been had in other literature, yet the empirical examples used make this section an interesting read. The first chapter in this section explores the role of housing in postmodern (in)security. This is an excellent examination of how the role of housing and the privatization of parts of the urban environment have impacted on spatial justice and the right to the city. Arguing that much can be learned from historical perspectives, the author John Flint notes ‘that public housing is both a symbol of contemporary urban crisis and the site of new forms of policing’ (156). Focusing on the privatization of public spaces, Berg’s chapter examines improvement districts in South Africa. These are groups of individuals or companies which come together to improve localized, demarcated spaces within the city. The main thrust of the argument is that the increasing ‘polycentricity [having many centres of decision making which are formally independent of each other] is a governance adaptation that developed to manage complex urban issues’ — something which may involve managing undesirable populations and reframing and reshaping public and private spaces. This chapter is interesting because it critiques the dominant theories of urban governance, ultimately concluding that the role of the spatial context in the governance of cities means that empirical questions need to be explored on a case by case basis. Providing a context to some of the points Berg makes in chapter ten, chapter eleven focuses on the individual experiences of the homeless in parts of Berlin. This chapter provides a powerful example of the ways that the urban governance and security strategies examined by Flint and Berg impact on a vulnerable sector of society. Von Mahs argues that the legal exclusion of the homeless from the city centre is compounded by their subsequent containment in poor quality, short-term housing in Berlin’s most deprived communities. This compounds their socio-spatial exclusion. Chapter twelve, by Milliot and Tonnelat, contextualizes the role of the street in the way that it helps structure a response to antagonistic policing in Paris. The witnessing of a contentious arrest leads the authors to argue that the street is a space where the crowd and the public are linked and where strong moral and political dimensions are associated with the street. This, it is argued, links to broader narratives of the legitimisation of the police and the pluralization of urban security. Overall this section of the book is a helpful addition to the existing chapters, helping to draw out some of the links between rights to the city, and security and governance regimes which are explicitly exclusionary. The final four chapters explore new forms of securitization, meaning the regulation and fortification of buildings, spaces and things, with the editors of the collection examining the new forms of militarization in chapter thirteen. They draw on a geographical approach to military urbanism, arguing that it can be supplemented with understandings of the legal literature. Using municipal corporate security and risk mitigation firms as the basis of their study, they argue that setting the urban securitization agenda within notions of military urbanism allows for analysis of the network of private and public sector companies associated with securing the city. Setha Low examines the role of everyday securitization in the city in chapter fourteen. Her argument focuses on the social inequality that is (re)produced through the private governance of the gated communities. Although a useful contribution to this collection, this short chapter reviews the author’s previous work and adds little to those previous contributions. Chapter fifteen by Botello draws together the historical rise of securitization in Mexico City. Focusing on the ways that the army and the police create a situation where certain parts of the population are under siege through the establishment of checkpoints, this chapter offers an insightful geographic examination of the differential spatial impact of the securitization of Mexico City. The final chapter of the edited collection, written by Silberberg, examines the physical securitization of Boston in a post-9/11 world. The author argues that there has been little thought given to who has a say in how security is enacted, with ‘a type of de facto private planning agenda’ being implemented. Silberberg argues that planners have a central role in the securitization of cities and that ‘security creep is real’ and in many cases troubling, something which will have been undoubtedly heightened since the Boston bombings in 2013. This book has much to commend it. It brings together a multi-disciplinary team of researchers who examine urban securitization and regulation from a range of angles and with a broad set of examples. 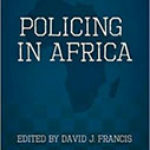 The global focus of this edited collection is also a definite strength, with emphasis on different forms of regulation, governance and policing from around the world, something which makes the book a welcome addition to the field of study. The edited collection sets out to provide a comprehensive examination of policing in the broadest sense, and the interaction between security forces and the public. The book does this very successfully. Yet, this breadth also serves to highlight my main critique. 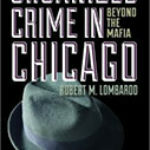 The scale of analysis offered by a number of chapters means that the city is inevitably regarded as a static bystander. Some of these broad chapters would therefore benefit from having a tighter focus to allow specific engagement with the security and materiality of the urban environment. Ultimately however, this is a timely contribution which demonstrates the need for further work to contextualise the broader shift to a pluralized landscape of urban securitization and policing. This book begins to sketch out the implications of these policies at the local level and in specific sectors, but more work needs to be done across different geographical contexts.